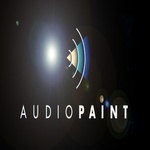 Sign up for Broadjam today to follow Audio Paint Studios, and be notified when they upload new stuff or update their news! Professional touring guitarist with Greg Allman Band. One of the founding members of Steeley Dan.